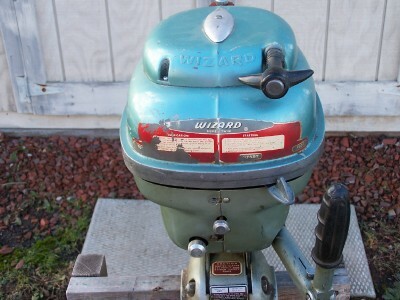 The pictures on this page were graciously submitted by follow Wizard Outboard enthusiasts. 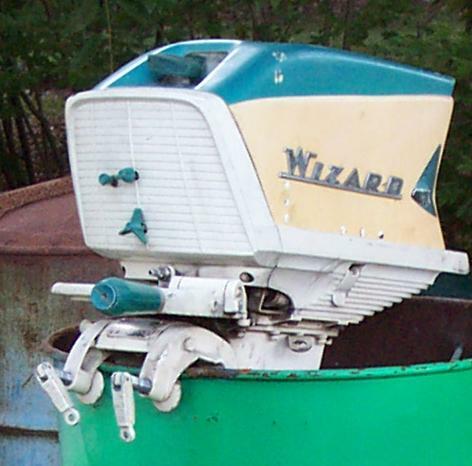 Ronald Lietha's WM-7A racing Wizard. 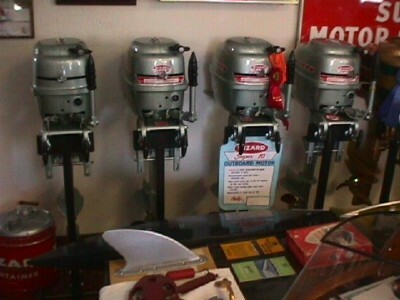 Ronald's, Four completely restored Wizard Super 10's, 55-56, WM-7 & WM-7A's. 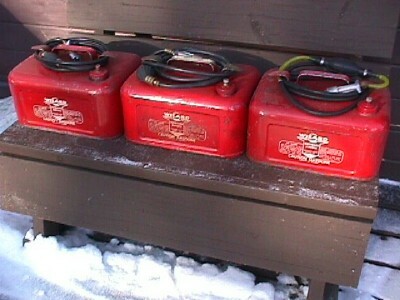 Two original unrestored WM-7 & WM-7A's. 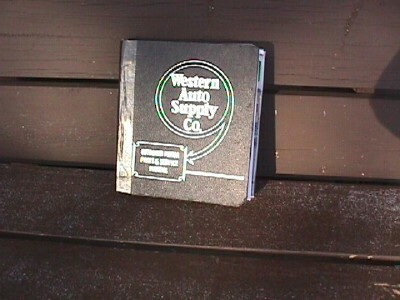 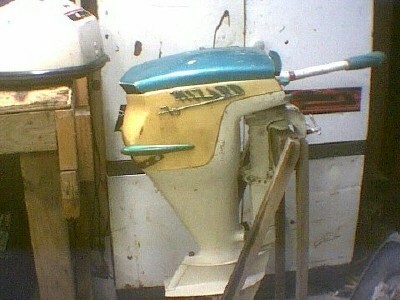 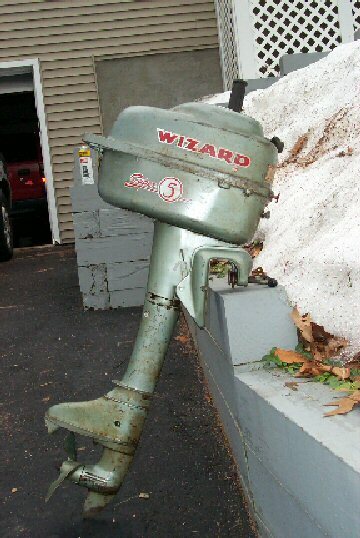 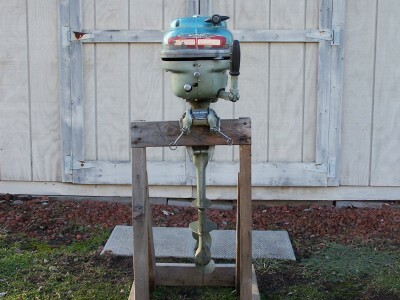 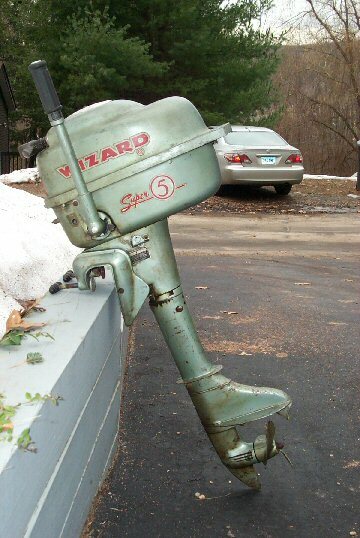 Original Wizard-Mercury (Western Auto) Outboard Dealers Manual. 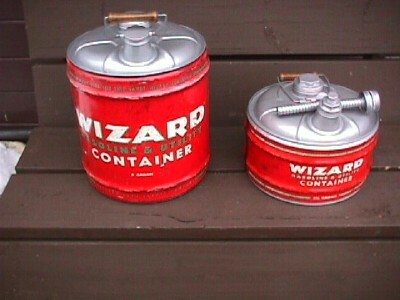 Three original Wizard 3 1/2 gal tanks for the WM-7 &WM-7A's. 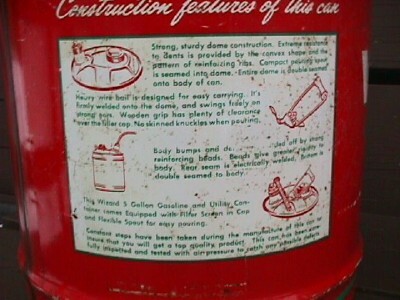 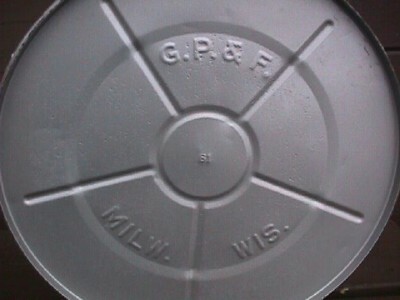 The above cans were sold by Werstern Auto in the 56 catalog and are 3 1/2 & 5 gal size. 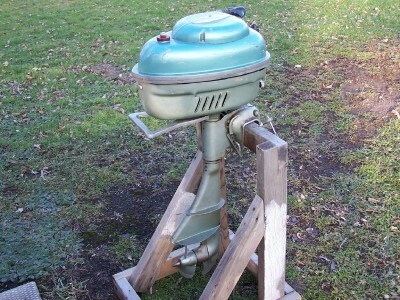 They are refurbished and have all the full original graphics. 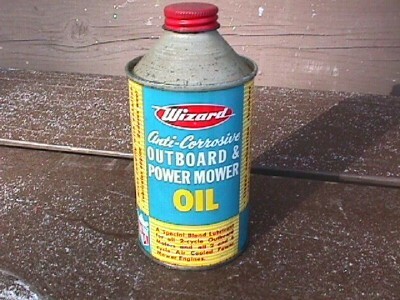 All purpose cans to include graphics for the Wizard Outboard Motor use. 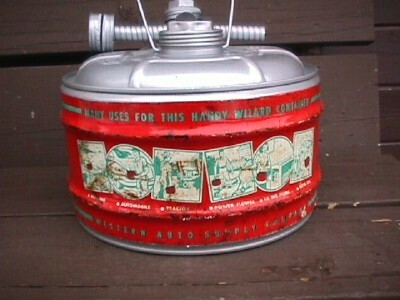 An original pint cone top can of original Wizard Outboard 2-cyl oil. 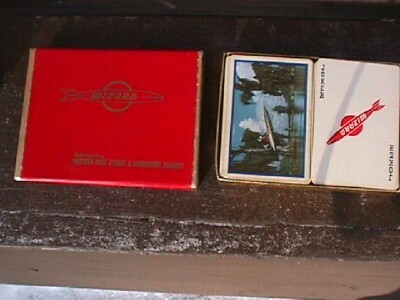 A rare deck of Wizard Outboard playing cards in original box. 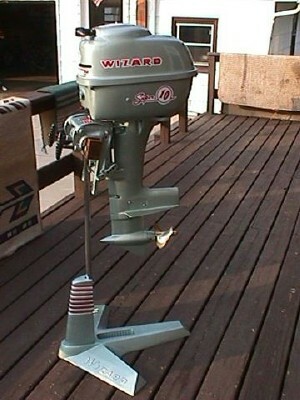 Frank Presch's WH-6 Wizard Super 5 right-side. 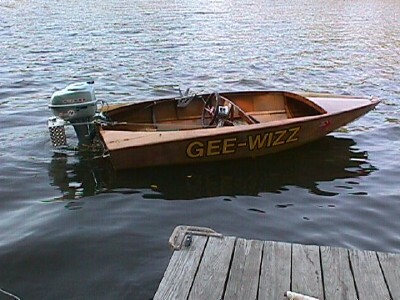 Frank Presch's WH-6 Wizard Super 5 left-side. 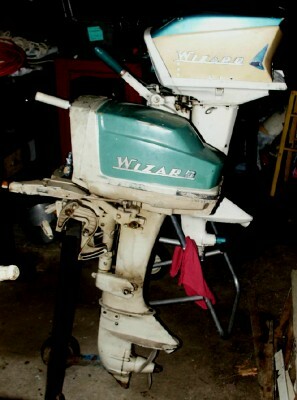 Dave Dufresne's Wizard 7.5hp. 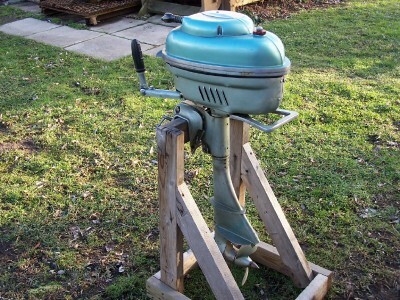 This ia a later Scott built motor. 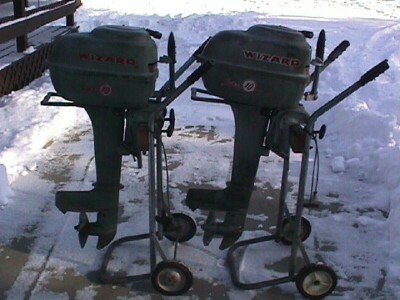 Dave Dufrense's Oliver built 6HP(front) Wizard and 7.5HP Scott built Wizard(back).